SAN FRANCISCO (AP) — A federal appeals court has given the Environmental Protection Agency 90 days to justify why a widely used but dangerous pesticide should stay on the market. WASHINGTON (AP) — Acting Environmental Protection Agency chief and former coal lobbyist Andrew Wheeler won a Senate committee's approval of his appointment to the permanent post on Tuesday, along with praise from the panel's Republicans for his work rolling back a series of Obama-era environmental measures. WASHINGTON (AP) — President Donald Trump's nominee to lead the Environmental Protection Agency on Wednesday called climate change "a huge issue" but not the "greatest crisis" and drew fire from Democrats at his confirmation hearing over the regulatory rollbacks he's made in six months as the agency's acting administrator. A top Senate Democrat is describing President Donald Trump's nominee to lead the Environmental Protection Agency as "just as extreme" as his predecessor. Acting EPA chief Andrew Wheeler is appearing Wednesday before a Senate committee considering his nomination to head the agency. WASHINGTON (AP) — The Environmental Protection Agency says a Republican donor gave $50,000 for Scott Pruitt's defense fund before he left the agency. The former EPA chief reported the gift in a legally required financial disclosure released Thursday. The report lists the $50,000 contribution to Pruitt from Wisconsin businesswoman Diane Hendricks. OKLAHOMA CITY (AP) — A staffer at the U.S. Environmental Protection Agency with long ties to former EPA administrator Scott Pruitt has been selected by Oklahoma's new governor to serve as state secretary of energy and environment. Gov.-elect Kevin Stitt announced Wednesday that Kenneth Wagner has been appointed to the cabinet-level position. Oklahoma previously had separate cabinet positions for energy and environment, but Gov. Mary Fallin combined those during her first term. NEW YORK (AP) — Fox News Channel said Tuesday that it is disciplining employees involved in an email exchange with an aide to President Trump's former EPA administrator Scott Pruitt to craft a "Fox & Friends" interview with the environmental chief last year. The emails showed one of Pruitt's aides suggesting the interview, passing along "talking points" and given the chance by a Fox producer to approve a script written to introduce Pruitt. OKLAHOMA CITY (AP) — Oklahoma's newly elected governor is naming several prominent GOP-connected business people and other professionals to lead his transition team as he prepares to take office in January. Republican mortgage company owner Kevin Stitt announced on Tuesday the names of nine members of his transition team that he's dubbed "Oklahoma's Turnaround Team." The group will be led by Norman attorney Marc Nuttle, a longtime Republican Party insider. The GOP has continued its stronghold on Oklahoma's statewide offices, from governor on down. Voters on Tuesday elected Matt Pinnell as lieutenant governor, and Attorney General Mike Hunter won election to his first full term after being appointed to replace Scott Pruitt. Pruitt resigned after being named head of the Environmental Protection Agency. WASHINGTON (AP) — The mothers of two men killed by a toxic paint stripper took a step toward suing the Environmental Protection Agency on Wednesday for failing to take quick action to remove the product from the market. The EPA had pledged in May, after then-Administrator Scott Pruitt met with families of two victims, to wrap up action "shortly" on proposed Obama-era regulations that would eliminate most allowable uses of the paint-stripping solvent methylene chloride. WASHINGTON (AP) — The Environmental Protection Agency said Wednesday it is putting off for at least a year any final announcement on a controversial proposal overhauling how the agency evaluates science. Notable firings and resignations from President Donald Trump's White House since he took office on Jan. 20, 2017. —Oct. 9: Trump announces U.N. Ambassador Nikki Haley's resignation, effective at end of the year. —Aug. 29: Trump announces that White House counsel Don McGahn would leave sometime in the fall. WASHINGTON (AP) — Notable firings and resignations from President Donald Trump's White House since he took office on Jan. 20, 2017. WASHINGTON (AP) — The Trump administration is moving to allow year-round sales of gasoline with higher blends of ethanol, a boon for Iowa and other farm states that have pushed for greater sales of the corn-based fuel. President Donald Trump is expected to announce he is lifting a federal ban on summer sales of high-ethanol blends during a trip to Iowa on Tuesday. WASHINGTON (AP) — The head of the Environmental Protection Agency's internal watchdog office announced his retirement Tuesday, leaving subordinates to pursue ongoing ethics probes involving former EPA chief Scott Pruitt and his team. Arthur A. Elkins Jr., inspector general for the agency since 2010, said in a statement he was leaving for an unspecified job outside of the federal government. WASHINGTON (AP) — Scott Pruitt, the scandal-ridden former Environmental Protection Agency chief, denied on Wednesday that he had obtained any out-of-the-ordinary gifts as a result of his Cabinet-level post, dismissing allegations he received perks in office ranging from much-sought sport tickets to a job for his wife. WASHINGTON (AP) — The Environmental Protection Agency failed to document any threats or security risks that warranted spending more than $3.5 million on unprecedented around-the-clock bodyguards for then-chief Scott Pruitt, the agency's internal watchdog concluded on Tuesday. WASHINGTON (AP) — A federal appeals court has ruled that the Trump administration endangered public health by keeping a widely used pesticide on the market despite extensive scientific evidence that even tiny levels of exposure can harm babies' brains. The 9th U.S. Circuit Court of Appeals in San Francisco on Thursday ordered the Environmental Protection Agency to remove chlorpyrifos from sale in the United States within 60 days. WASHINGTON (AP) — A federal appeals court ruled Thursday that the Trump administration endangered public health by keeping a widely used pesticide on the market despite extensive scientific evidence that even tiny levels of exposure can harm babies' brains. The 9th U.S. Circuit Court of Appeals in San Francisco ordered the Environmental Protection Agency to remove chlorpyrifos from sale in the United States within 60 days. WASHINGTON (AP) — Environmental Protection Agency acting chief Andrew Wheeler has withdrawn a break that the agency gave makers of higher-pollution diesel trucks on Scott Pruitt's last day as agency administrator. The EPA released a Wheeler directive Thursday night reversing one that Pruitt issued on July 6. Pruitt left office that day in the face of unrelenting allegations he misused his office for luxury perks and other personal and political gain. WASHINGTON (AP) — While Donald Trump has positioned himself as a tough, "law and order" president, he has mostly excluded one group of offenders from his sights: those of the corporate class, according to a report released Wednesday by Washington-based watchdog Public Citizen. The report found that in 11 of the 12 federal agencies led by a Trump-appointed official during the president's first year, penalties imposed on corporate violators dropped, in the majority of cases by more than 50 percent. SAN FRANCISCO (AP) — California and 14 other states sued the U.S. Environmental Protection Agency Thursday over its decision to suspend an Obama-era rule aimed at limiting pollution from trucks. The July 6 decision by the Trump EPA was illegal and could put thousands of additional highly polluting trucks on the roads, the states and the District of Columbia said in the lawsuit filed in the U.S. Court of Appeals for the District of Columbia Circuit. WASHINGTON (AP) — The Environmental Protection Agency assigns public-records requests from environmental groups or others that it sees as "politically charged" to special internal review, a top agency official told congressional staffers investigating the actions of Scott Pruitt, the scandal-plagued former administrator who resigned this month. WASHINGTON (AP) — Andrew Wheeler, the new acting chief of the Environmental Protection Agency, signaled a more inclusive approach at the agency, telling staffers roiled by months of ethics allegations against his predecessor, "You will find me and my team ready to listen." BILLINGS, Mont. 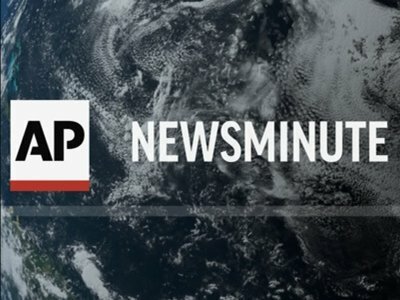 (AP) — The Trump administration is advancing a proposal that would replace President Barack Obama's principal attempt to cut U.S. greenhouse gas emissions with a new rule expected to go easier on the ailing coal industry. WASHINGTON (AP) — Taking over from an ambitious predecessor known for seeking out the rich, powerful and conservative, the Environmental Protection Agency's newly named acting chief has promised to reach out to anxious staffers throughout the demoralized agency and to lawmakers of both political parties. WASHINGTON (AP) — Different administrator, same policies. Andrew Wheeler, the former coal lobbyist who takes over Monday as acting head of the Environmental Protection Agency, doesn't have the high profile of Scott Pruitt, who resigned Thursday amid ethics scandals. When it comes to substance, Wheeler has eschewed hardline political statements on environmental issues — but the public comments he has made show him in line with Trump administration policies. Pruitt leaves his mark on businesses but will it last? As head of the Environmental Protection Agency, Scott Pruitt tried to roll back rules affecting many industries, but whether he made lasting changes in the government's regulation of business or failed to leave a legacy could be decided in the courts. LINCOLN, Neb. (AP) — The resignation of Environmental Protection Agency Chief Scott Pruitt is drawing mixed responses from Nebraska's political, agricultural and environmental leaders. OKLAHOMA CITY (AP) — Scott Pruitt's tenure as the head of the Environmental Protection Agency ended with his resignation, but political experts in his home state of Oklahoma say he could continue his career in public office. WASHINGTON (AP) — Bowing out after months of scandals, Scott Pruitt is turning the Environmental Protection Agency over to a far less flashy deputy who is expected to continue Pruitt's rule-cutting, business-friendly ways as steward of the country's environment. WASHINGTON (AP) — The new leader of the Environmental Protection Agency is a former coal industry lobbyist who helped lead an industry fight against regulations that protect Americans' health and address climate change. Andrew Wheeler, the No. 2 official at EPA, will take over the agency Monday now that President Donald Trump has accepted the resignation of embattled administrator Scott Pruitt. The Senate confirmed Wheeler as the agency's deputy administrator in April. WASHINGTON (AP) — Environmental Protection Agency Administrator Scott Pruitt was the target of numerous federal ethics investigations. Allegations included the eyebrow-raising — looking to obtain a used mattress from the Trump International Hotel — and graver ones, such as accounts that he used his office to try to drum up high-dollar business opportunities for his wife. WASHINGTON (AP) — For 37 mostly female farm-workers in California's Central Valley, U.S. policy under Environmental Protection Agency chief Scott Pruitt became personal not long after sunup one day in May 2017. WASHINGTON (AP) — Commerce Secretary Wilbur Ross came in for an Oval Office tongue-lashing after he used a mundane soup can as a TV prop. Defense Secretary Jim Mattis got overruled by President Donald Trump's announcement that a new "Space Force" is in the offing. Environmental Protection Agency head Scott Pruitt finally bailed out this week, three months after his steady stream of highly publicized ethics problems brought a sharp admonition from image-conscious Trump to "knock it off." WASHINGTON (AP) — Commerce Secretary Wilbur Ross came in for an Oval Office tongue-lashing after he used a mundane soup can as a TV prop. Defense Secretary Jim Mattis got overruled by President Donald Trump's announcement that a new "Space Force" is in the offing. Environmental Protection Agency head Scott Pruitt caught a sharp admonition from Trump to "knock it off" after his ethics problems dominated cable television — and he was gone within three months. WASHINGTON (AP) — Environmental Protection Agency Administrator Scott Pruitt resigned Thursday amid ethics investigations of outsized security spending, first-class flights and a sweetheart condo lease. With Pruitt's departure, President Donald Trump loses an administrator many conservatives regarded as one of the more effective members of his Cabinet. But Pruitt had also been dogged for months by scandals that spawned more than a dozen federal and congressional investigations.